No better way to experience love then through animals..They can be a lot of work because they need for us for everything.. However, the love they give us back is a love that is so deep your soul separates without them.. We are here as humans to experience such love..I know you can love your children, husband,wife, friend and others…I have found that no greater is there a love then the love of your animals and pets..Perhaps, because we know we can pour our entire hearts out to them and never get rejected, lied to, cheated on or disappointed. We can be ourselves weather good or bad and they love us no matter what.. Most of all they will never abuse us. They will always listen..Never leave you, will love you no matter what. Rich, poor, black, white, young, old..it does not matter to animals or your pets..They simply know how to love you..Like GOD’s perfect gift for mankind other than himself. 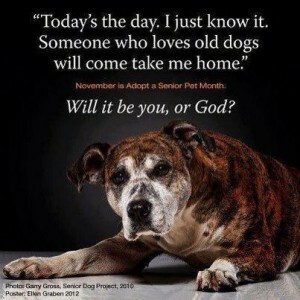 Cape May County Animal Shelter New Jersey is having a Seniors 4 Senior Pets Adoptions. During the month of December. It’s a wonderful Idea and way to get your adoption fees waived..The fees are being paid for by the Animal Alliance in Cape May County.I have thirteen year old dog and I thank god for him every morning and night..I have loved him since he was born..He has help me and my family get over some of the most difficult times…I have worked with the elderly and took care of my mother for 12 years until her death..It was the greatest pleasure of my life next to my son being born..I was proud to be of assistance to her in her time of need..My mother had a doggie by her side for the 12 years after her first stroke..I got the dog for her and it helped her greatly. Tara was here name.. 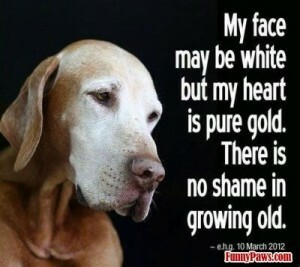 I say was, because, Tara passes away about 8 months after my mom..She never stopped looking for her. I know first hand the impact of a furry friend can do for seniors..A friend of pure love and comfort always by your side in sickness and health..When my mom would get afraid or be in pain Tara would always make it right. Tara, filled her heart with love, kindness and plenty of kisses and cuddles..Not to mention she was a funny little bugger. Everyone needs the love that only animals can bring..Take advantage of this fantastic idea Seniors 4 Senior Adoptions..Go and take a Senior or two to the Cape May County Shelter and pick out a lovely senior pet or two that needs your love just as much as you need their love ..Adopting a pet is a life altering experience.. That pet needs your love in their final years here on this earth just like our elderly seniors need us. Give yourself or someone you know the gift of pure love this Christmas..It is the season for love. The gift of Love..how about that.. Isn’t that was the holiday season is about gifts of love. May peace be with you, your family and your pets for ever and ever. Happy Holidays to all ! Go to our PINTEREST Board Dogs 4 Doggie If anyone wants to work with us on any of our boards please use the contact form and send us a email. This entry was posted in Blog and tagged Cape Mays Best Pet Friendly Adoptions by admin. Bookmark the permalink.